Pregnancy is a unique experience for every woman. But, it’s so common in our everyday lives that strangers in public places will make conversation to share a variety of experience and opinions about what “worked for them”. For new mothers-to-be, it can be a little intimidating and overwhelming because they don’t know if what they are hearing is fact or myth. “As a pregnant woman myself, I love being able to share experiences (and complaints) with my fellow pregnancy tribe. But, sometimes I discover the odd and funny methods that women swear by, are pure myth”, says one young pregnant woman. 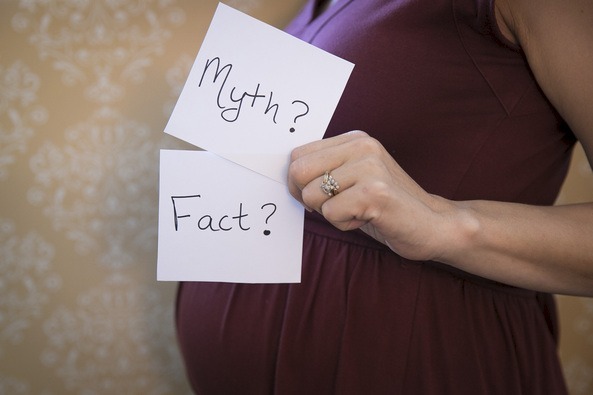 In this article, we’ve compiled four of the most common myths and a few pregnancy tips to help you to navigate the sea of opinions. Hopefully, these will help you will decide what is bes t for you and which ones to ignore. FALSE. This myth states that if you’re carrying low or have a rounder “beach ball” belly, then you’re having a boy. If your belly is higher up and a longer more watermelon shape, it’s a girl. While it is true that many women have found that when carrying one or the other gender they find their belly to be congruent with this myth it actually all comes down to your muscles. Each woman’s stomach muscles stretch differently with each pregnancy, so if a woman’s belly is higher up, her abdominal muscles were likely strong before pregnancy or it’s her first pregnancy. FALSE. While eating spicy foods during pregnancy is perfectly safe, it may lead to heartburn. Around week 20, your body begins to create a hormone called Relaxin that literally relaxes all the tendons, muscles and even organs in your body. This can relax the valve between your throat and esophagus making it easier for you to get heartburn. So if you must have that spicy jalapeno popper, and if you are prone to indigestion while expecting, ask your doctor about a pregnancy-safe antacid. Not always. 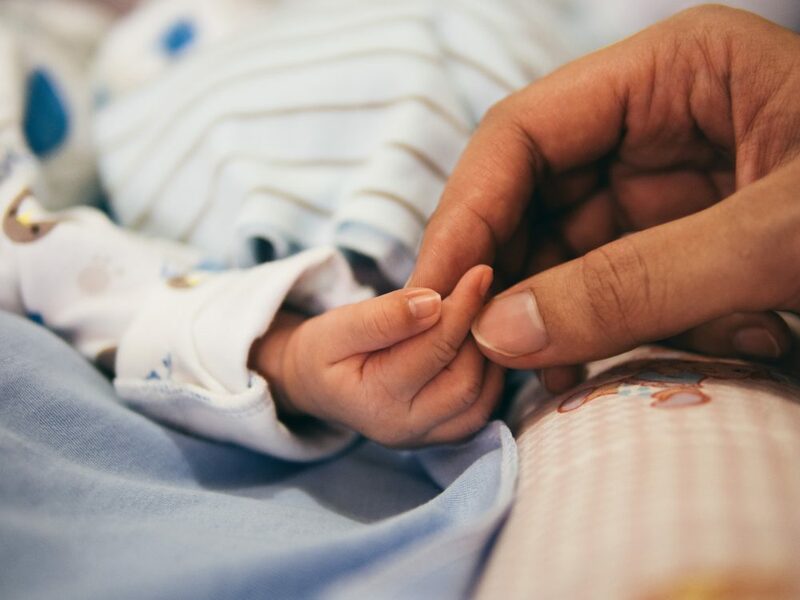 While skin to skin contact between you and baby after birth can help the bonding process, not all women feel bonded to their baby right away. Some women came into motherhood feeling unprepared or not wanting children at all. Just remember, like any new relationship, it may take time to feel a close bond. After all, upon arrival, they are a brand new person who you just met! Try not to rush or feel like you are doing anything wrong if you don’t feel an instant connection. 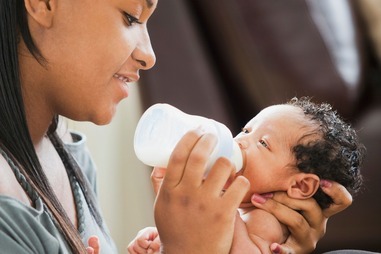 That “special bond” that mothers talk about develops over time, year after year, as you watch your baby turn into a child, and a child into a mature human being. The experience of bonding grows with time and patience. This is false. You may have heard the expression ‘good child bearing hips’ or that a small baby means an easier birth. Unfortunately, the size of your hips or your baby won’t tell you much about how easy or hard your birth is likely to be. A woman’s pelvis is not a solid bone. It is made up of ligaments and several bones that are designed to move and loosen as you give birth. It’s also not true that the size of your baby will make birth more or less painful. Quite often the position you are in during the birthing process can make a big difference. While it may seem unnatural, some women find that squatting or being on all fours during the birthing process can be a more comfortable position than the tradition position of lying on your back. The position of your baby as they move through the birth canal can also affect how you experience birthing labor. While these are only a few of the many myths that we often hear about pregnancy and childbirth, we hope this has cleared up a few concerns, and at the very least, answered some questions. If you think you may be pregnant, or just need someone to talk to we are always here to help. We offer free pregnancy tests and pregnancy information. We can be a listening ear for anyone in need. Pregnancy and motherhood can be a wonderful experience with the right preparation. Let us help.